April 25 through April 30, 2019: Considered Graduate school for anglers with more experience with the emphasis of honing your skills. Think of it as immersion therapy. 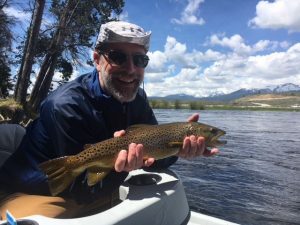 $3250 per person includes six nights and five days lodging, all meals, classroom instruction, 5 days of guided fly fishing. May 2 through May 7, 2019: Concentrating our efforts on advancing the skill levels of novices to intermediates. We will transform you into casting machines along with teaching you the tools in becoming more self-reliant on the water. By the end week fish will tremble at your approach. $3250 per person includes six nights and five days lodging, all meals, classroom instruction, 5 days of guided fly fishing. For more information or to book a trip to Healing Waters Lodge, please contact Mike Geary at 406-459-2030.